Hopefully I have what you will consider good news! I’ve been busy making tutorial videos in every spare second of time the last few days and will be releasing them over the coming weeks.Yeah! Thank you to everyone that left tutorial requests on my Facebook, Instagram, and Twitter. You should see the tutorial you requested come out soon. If you missed the chance to make a request, feel free to stop by any of my social media pages and let me know what you would like to see. The hard part now will be deciding what order to release all of them in. I’m so excited to share them with you and hope they help. 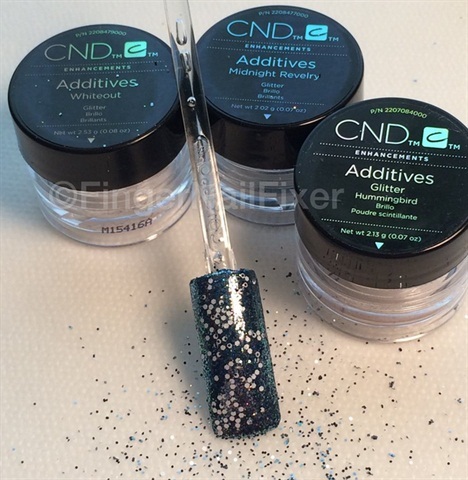 First up is a super quick and easy design using CND Additives that could be done with CND Shellac or a gel-polish.